Now in the time of technological advancements, many of us don’t give candles the credit they deserve, but thanks to the craze about Scandinavian design over the years, particularly the Danish hygge, candles are having their well-deserved comeback in interior décor. Before the invention of electricity, people relied on candles to light up their homes, nowadays we rely on them to inject our abodes with warmth. There are so many ways you can use them and all you have to do is buy taper candles, and let creativity take over. Perhaps you have a beautiful pair of candle holders you can’t wait to use in your living room, or want to treat yourself to a romantic candlelit dinner, celebrate a birthday, or anniversary; Light up a candle, and any moment can be special! 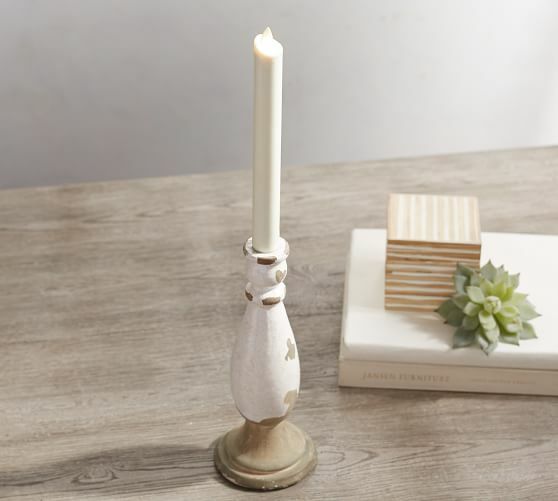 Considering there are candle holders in a variety of styles, you can make things fun by buying several in different styles and use them on certain occasions. Or is it candelabras, votives and saucers you’re after? These are just two ways out of many you can turn to candles for pleasant ambiance and lifetime memories. Candles are the proof how something simple can bring about so much beauty; what was once utilitarian is now a decorative element that you can count on for any room. Then again, when you buy taper candles, think about buying some for aromatherapy too, choosing a scent that promises relaxation, reduction of anxiety and stress, like lavender does. You can enjoy candlelit baths, or even meditate simply by taking deep breaths and observing the flame. Speaking of scents, other than relaxation, they are also ideal for helping you get rid of unbearable odours at home (think of the kitchen! ), and clear out the air. Another century-old use is praying with candles, for family members, for health, or something you wish to happen. Just the process of praying with the candle is beneficial in its own, and would give you a serene feeling. If you have a scent you can’t do without, then by all means pack up a candle for your upcoming trip and make yourself feel at home away from home. Along with scents, they come in colours as well which is another way they have a role in the interior. In addition, knowing the benefits of candles, you have to agree they make great gifts too, so you don’t have to think much on what to buy next time you have to get someone a gift.